Check out this awesome patch you can add to your apparel. Show off your love of Star Wars with this patch. 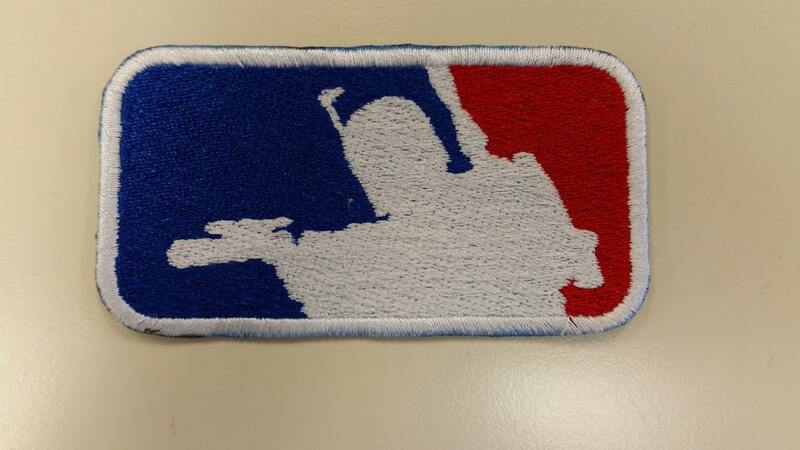 It is a shadow outline of Boba Fett spoofing the Major League Baseball Logo. The border and Boba Fett are sewn in white with blue and red background as well sewn. The patch is approximately 3.5"W X 1.75" H.
Seller was great. Received quickly. Thank you and would purchase again from seller.